We’d love your help. Let us know what’s wrong with this preview of The First Pillar by Roy Huff. Owen Sage is the emblematic college freshman at Easton Falls University. He studies hard, plays hard, and is incredibly charming. With all the worries about his first year in college, he was not prepared for what would happen next. His way of life was flipped upside down when he was drawn into a different world, a world unbeknownst to him. He mysteriously crossed into anot Owen Sage is the emblematic college freshman at Easton Falls University. He studies hard, plays hard, and is incredibly charming. With all the worries about his first year in college, he was not prepared for what would happen next. His way of life was flipped upside down when he was drawn into a different world, a world unbeknownst to him. He mysteriously crossed into another dimension, into the beautiful land of Everville. His tragic excitement was abruptly halted when he discovered that there was a darkness forged against both the natural world, which he knew well, and the new land which he discovered, Everville. He must devise a plan to save both worlds while joining forces with the race of Fron and The Keepers, whom both harbor hidden secrets he must learn in order to gain power over the evil that dwells in The Other In Between. To ask other readers questions about The First Pillar, please sign up. Hey Mr.huff its me andrew im going to read your book :)? I think "meh" pretty much sums it up. It's hard to write something because this book simply doesn't evoke any feelings in me other than boredom and frustration (at the writing). First off, the writing style. I can't help but feel that there is a beautiful, rich world in this book that is waiting to be discovered. However, the entire time, the writing constantly switches between spartan descriptions of events, locations, creat I think "meh" pretty much sums it up. It's hard to write something because this book simply doesn't evoke any feelings in me other than boredom and frustration (at the writing). First off, the writing style. I can't help but feel that there is a beautiful, rich world in this book that is waiting to be discovered. However, the entire time, the writing constantly switches between spartan descriptions of events, locations, creatures on one hand, to paragraph long descriptions of a forest pathway on the other. Big events are described in no more than a few sentences, in no way doing justice to the situation. It makes you feel that if you read to fast you would just miss it. The pacing is all over the place, all the time. e.g the book pretty much ramps up to the "Roundabout" games (if you can call it ramping at this pace), claiming that these games are something like the "Olympics" on campus. However, the entire "games" section is put in just a few pages (an event that allegedly takes a full day). It's like listening to the highlights of a sports game on the radio and not an intriguing epic fantasy concours. The entire book feels like it's a mere skeleton for a story, hitting bullet point after bullet point, but still waiting to be fleshed out later. The moment the game began, I moved with utter swiftness. I felt an assuredness I had not felt before. I closed my eyes. As I did, I could see the maze in my mind. One corner after another, I moved through the maze with breathtaking speed. 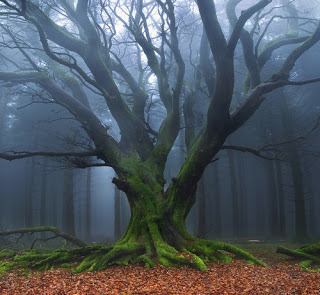 As I ran with my eyes closed, I could see the Dark Forest. The maze became an abstraction of the trees and the forest where the trees resided. I stepped forward and opened my eyes. I had completed the maze. It was a record time, not just this game but for all games since the very first Roundabout. I had achieved the high score, a perfect score. The crowd erupted at the sight of the first such success in 87 years, and I allowed myself a moment to take it in. Could this be any shorter? Any more deprived of feeling? I mean, it's so short, if you read fast enough you just might miss it. I don't see how this is not relevant to the story since the connection between the Everville problems and the games are hinted on more occasions than the occasions where the main character actually makes sense. This is one of those epic moments, there should be proper build up and a climax. 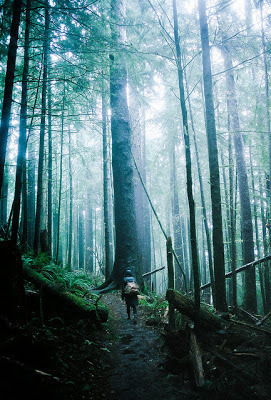 Main character and his pet arrive at a ravine that they absolutely need to cross, this is how the "gravity" of the situation is described. If they failed, they would lie dead at the bottom of the crevasse. They would have to be willing to give up their only assurance of survival if they were going to make it across, so that’s what they decided to do. One more flaw. The author has chosen to use a strict first person perspective in this book. Apart from the fact that I don't like this, there are a few problems with this. Most importantly that it doesn't allow the author to write about things that happen to other characters if they don't vocalize this (so that the main character could pick up on it). But, in stead of bothering about that restriction, the author plainly switches to 3rd person mode whenever he feels necessary. These are passages that really stand out by the way they stumble in a book that is basically a large monologue. Well, here we can be short as there are about 7 characters in the book, but there just as well could have been 1. All the other characters are utterly useless and generic. Not one of these gets much attention when it comes to personality. Seriously, the most interesting secondary character is Zee, and only because his first appearance creates an air of mystery about his history. Even the main character is boring as hell, we know little to nothing about him, his hopes, personality traits, ... How the hell am I supposed to feel for this guy? He narrates himself so incredibly dry that I wonder why he even bothers to live. The plot feels very thin and generic. The author tries to create a very complicated world with a lot of different races but he fails to describe all of these sufficiently to make the world (and it's problems by extension) believable in any way. He makes things even worse when he tries to include space / time into the equation. Please tell me how I'm supposed to take anything in this book serious when this pops up fairly early in the book? “I don’t know about that,” I said to Dante. Bottom line for me is that this book will probably work very well with people who like the Narnia series and the likes. I'm definitely not the target audience so my opinion on the matter isn't all that relevant. This is definitely an excellent opener to a new fantasy series. I was immediately happy to discover that the author wasted no time getting to the interesting stuff. Rather than wading through pages and pages of setup, the author assumes his readers are intelligent enough to make the proper connections, and I appreciated that. Often what bores me with fantasy novels is the way the authors feel the need to over examine every detail of their world, and Roy Huff doesn't do this. I liked the way the n This is definitely an excellent opener to a new fantasy series. I was immediately happy to discover that the author wasted no time getting to the interesting stuff. Rather than wading through pages and pages of setup, the author assumes his readers are intelligent enough to make the proper connections, and I appreciated that. Often what bores me with fantasy novels is the way the authors feel the need to over examine every detail of their world, and Roy Huff doesn't do this. I liked the way the normal world and the imagined world were intertwined and thought the main character was refreshing. Lately I haven't found many fantasy novels with truly likeable characters. I liked that this one was young, energetic and although uncertain, quickly became a good hero. I would think this novel would be of particular interest to the younger crowd, but I don't see a reason why an adult wouldn't enjoy it as well. I found this to be very good as a whole and would certainly recommend it to others. This looks to be a very promising series. The First Pillar (Everville, #1) is a fantasy young-adult novel by Roy Huff. I found it very incredible that with just few days after its release on Amazon Kindle it already garnered a lot of positive feedbacks and awesome ratings. It kept a lot of stars on goodreads as well. And I am proud to say that I am now one of those astute people who prized this novel very much! I can also say that this is truly a superb book that can be bought into film or T.V adaptations; it can appeal to movie produce The First Pillar (Everville, #1) is a fantasy young-adult novel by Roy Huff. I found it very incredible that with just few days after its release on Amazon Kindle it already garnered a lot of positive feedbacks and awesome ratings. It kept a lot of stars on goodreads as well. And I am proud to say that I am now one of those astute people who prized this novel very much! I can also say that this is truly a superb book that can be bought into film or T.V adaptations; it can appeal to movie producers and the like. It can actually be on the same rate as some of those fantasy classic-novels-turned-into films like The Hobbit and Lord of the Rings. Moreover, because of its unique and complex plot the readers and the future-viewers would be delighted! The novel started with a college student named Owen Sage. One day he finds himself strangely intertwined between a normal life and a fantasy world which he later learned as the ‘Everville’. He soon learns that the two worlds are interrelated. Owen then knows that he is not just mixed up with some random world; he’s given a big responsibility of strategic diplomacy; that if it didn’t work out, the two worlds will create a permanent destruction in history. What’s more? The story covertly informs us some valuable lessons in life. First, it teaches the readers to deeply acknowledge the things we need but then we are too busy to see. The reality is like what Amelia Earhart has quoted from her book: “The more one does and sees and feels, the more one is able to do, and the more genuine may be one's appreciation of fundamental things like home, and love, and understanding companionship.” Lastly, it urges the youth to be aware of the real world critically. And it advises the youth to broader the concept of responsibility and awareness. This is unquestionably a meaningful read! I received a free copy of this book in return for an honest review. As much as I dislike giving negative reviews (in an ideal world, every book I read would be 5+ stars), especially when the author has provided me with a copy, it is a necessary evil. In The First Pillar , a college freshman named Owen finds himself transported to a world named Everville, which needs his help in order to stop Everville from being defeated by an entity called Them. Stylistically, this book needs revision. The novel I received a free copy of this book in return for an honest review. As much as I dislike giving negative reviews (in an ideal world, every book I read would be 5+ stars), especially when the author has provided me with a copy, it is a necessary evil. Stylistically, this book needs revision. The novel opens with a lot of telling about the character’s feelings, and later there is infodump about Everville. There is also a plethora of adverbs that bog down the prose. A lot of the sentences were choppy, and many of them began the same way. There are also many passive and/or weak elements (ex. “I felt ____,” “seemed,” “appeared,” “I could see/smell/hear”). That is to say, we read about intricate carvings, conversations and lessons without seeing, hearing, or experiencing them. The same thing happens for other events, such as in the Roundabout Tournament (emphasized heavily earlier on in the novel), which is mostly told rather than shown. The First Pillar (Everville, #1) is a fantasy young-adult novel by Roy Huff. I found it very incredible that with just few days after its release on Amazon Kindle it already garnered a lot of positive feedbacks and awesome ratings. It kept a lot of stars on goodreads as well. And I am proud to say that I am now one of those astute people who prized this novel very much! I can also say that this is truly a superb book that can be bought into film or T.V adaptations; it can appeal to movie produce The First Pillar (Everville, #1) is a fantasy young-adult novel by Roy Huff. I found it very incredible that with just few days after its release on Amazon Kindle it already garnered a lot of positive feedbacks and awesome ratings. It kept a lot of stars on goodreads as well. And I am proud to say that I am now one of those astute people who prized this novel very much! I can also say that this is truly a superb book that can be bought into film or T.V adaptations; it can appeal to movie producers and the like. It can actually be on the same rate as some of those fantasy classic-novels-turned-into films like Wizard of Oz and Lord of the Rings. Moreover, because of its unique and complex plot the readers and the future-viewers would be delighted! Full disclosure: I received a free Kindle copy via the author. That fact makes me unhappy to give a negative review, but it would be dishonest to do otherwise. It's quite possible this book would be more for the middle school crowd, something I haven't been part of for a while, and the premise was what caught my interest; Owen Sage finds himself in some alternative world when he goes to sleep, one that seems to be falling apart due to the actions of a malevolent force. Are they just dreams, or no Full disclosure: I received a free Kindle copy via the author. That fact makes me unhappy to give a negative review, but it would be dishonest to do otherwise. It's quite possible this book would be more for the middle school crowd, something I haven't been part of for a while, and the premise was what caught my interest; Owen Sage finds himself in some alternative world when he goes to sleep, one that seems to be falling apart due to the actions of a malevolent force. Are they just dreams, or not? -Lack of description. There would be points when Owen would declare something without stating what caught his interest. For example, at one point, he describes seeing an "interesting-looking creature". That's all we get. What makes it interesting? We don't know, and unfortunately it comes across as shallow. I enjoyed the journey to Everville. I thought it was very easy to read and a creative story. I enjoyed the characters in the story and the creatures of the lands of Everville and beyond. It reminded me of “Alice in Wonderland” and “Lord of the Rings” as it was creative and exciting in a world beyond ours. It was packed with action but I would have enjoyed more details on the club games and even the battles. They were exciting, I just desired more detail because it left me wanting to know more about the games, the flying creatures, and a description of Them. I loved the imagery as the author described the scenes of the lands in Everville, the lands surrounding Everville, the campus, and the creatures. Excellent job! The author’s words easily painted pictures in my mind. I feel this book will be a great read for anyone who enjoys fantasy. I look forward to the next book in the series. I am sure it will satisfy some of my desires for more detail as the series unfolds. I highly recommend this book. Taken from my Amazon review. Full Disclosure: Purchased book while on sale for free on initial release. In the first book in the Everville series, Mr. Huff introduces us to his world by pitching us in headfirst. Often, in first parts to a series, the book itself will suffer for its position by being bogged down with too much information, set up so that the series to come can be better understood. However, in Everville, flashbacks construct a journey that parallels the main character's while provid Taken from my Amazon review. In the first book in the Everville series, Mr. Huff introduces us to his world by pitching us in headfirst. Often, in first parts to a series, the book itself will suffer for its position by being bogged down with too much information, set up so that the series to come can be better understood. However, in Everville, flashbacks construct a journey that parallels the main character's while providing insight into the history and current status of Everville, and how it is made up. The result is a fast-paced full-on blast of information that quickly does away with the slow plot issues that bog down "part ones". Because the work is comparatively short, it can easily be consumed in less than a day. In fact, the plot of "The First Pillar" moves at an incredible speed - at times too fast, as Mr. Huff skates over some details that would have been valuable to have. Many characters have minimal description, as do many actions, and the generally short sentences contribute to the sense of rushing pace. Most of the book is dialogue, and the action can be so rushed at times it is hard to tell who is speaking. Indeed, the entire work would have benefitted from a fresh set of editorial eyes - the occasional homophone slips in, and the spelling of one character's name occasionally shifts slightly (who I had a hard time recognizing, because he was not actually introduced by name, it just sort of appeared). The major editorial complaint, however, is that moments of third person perspective find their way into first person descriptions, which is really rather jarring. Characterization is sufficient - I would have liked to see more, and heard less. "Show, don't tell" as the old adage goes, and some characters suffer from a bit too much telling and not enough showing. On the other hand, I found myself curiously attached to them regardless, especially the enigmatic Zee and Drusilla. Mr. Huff's true talent lies in his creativity, however. He has created not so much a magic system as a new way of viewing the operations of the universe, and while details were light, I expect that as the characters venture deeper into it, more of Mr. Huff's inventiveness will shine through. Further, I sincerely enjoyed his descriptions of combat. I'll not go into detail here, for the sake of preventing spoilers, but the battles interested and engaged me, as did his use of bo staves, which I'm personally a fan of, though they are often neglected in fantasy literature in favor of magic swords and the like. When I finally sat down to read this best-selling book, I soon realized I had made the right decision. Namely because the plot and narration are quite intelligently interwoven, the style is impressive and the characters are easily identifiable with ourselves, no matter if we are young, adults, here, there, bright, sophisticated, up or down, wherever and whatever we are. Moreover, personality traits as well as situations development are phenomena that have been artistically, masterfully, positive When I finally sat down to read this best-selling book, I soon realized I had made the right decision. Namely because the plot and narration are quite intelligently interwoven, the style is impressive and the characters are easily identifiable with ourselves, no matter if we are young, adults, here, there, bright, sophisticated, up or down, wherever and whatever we are. Moreover, personality traits as well as situations development are phenomena that have been artistically, masterfully, positively and last but not least, realistically, elaborated and portrayed. Everville: The First Pillar by Roy Huff is a wonderful YA fantasy full of great battles, rich scenery and incredible fantasy creatures. He has perfectly created an unforgettable protagonist in Owen Sage, college freshman and if this ever became a movie we would have a beloved star to fill an older Harry Potter's shoes. Owen Sage knows he's different, for when he falls asleep he is transported to Everville a wondrous land under threat from evil creatures Them. He comes under the guidance of the Ke Everville: The First Pillar by Roy Huff is a wonderful YA fantasy full of great battles, rich scenery and incredible fantasy creatures. He has perfectly created an unforgettable protagonist in Owen Sage, college freshman and if this ever became a movie we would have a beloved star to fill an older Harry Potter's shoes. Owen Sage knows he's different, for when he falls asleep he is transported to Everville a wondrous land under threat from evil creatures Them. He comes under the guidance of the Keeper, leader of the friendly race Fron and so begins Owen's fantastic journey from meek teenager to mighty warrior and saviour of Everville. There is so much going for this book - the reader is dragged straight into the action with no fuss or tedious back story - the characters are so likeable we immediately root for them - the story is full of immense action scenes and unusual surprises, even back on Earth we gasp at Roy Huff's brilliant twists and continuation of the plot. This is a superb kickstarter to a great series. Bring it on Roy Huff. The First Pillar (Everville, #1) by Roy Huff is a great blend of fantasy and teenage adventure with non-stop action. It will keep your nose in the book from the beginning until the last period. The storyline is well developed and easy to follow. The author did a great job of developing each new twist and building the excitement as you move through the story. The action was realistic and believable. I really like the character development. Roy Huff did an excellent job in developing the background The First Pillar (Everville, #1) by Roy Huff is a great blend of fantasy and teenage adventure with non-stop action. It will keep your nose in the book from the beginning until the last period. I really like the character development. Roy Huff did an excellent job in developing the background of each of the characters which made them easy to relate to and follow. This was an easy story to put yourself into as an unseen supporting character. I really enjoyed reading The First Pillar (Everville, #1) by Roy Huff and I highly recommend this book to all readers. Everville by Roy Huff is a powerhouse read! It seems a college freshman Owen Sage is what everyone expects he should be. Suddenly, on a dime, his life changes on a dime finding Everville. As the world and Everville are on a collision course. He must learn to save the worlds. Wonderful book and I would recommend it highly! For this and so much more, I give "Everville" by Roy Huff FIVE STARS! Everything you need to sit back and enjoy. Wow...I remember reading friends' stories in grade school that were better written than this. Sadly, I cannot think of anyone I know personally who would enjoy this story. I received this book for free from Roy Huff in exchange for an honest review. Owen Sage has just started his freshman year at Easton Falls University, and is looking forward to a relaxing year of college fun. Unfortunately, he doesn't get much time as a normal university student before some quite unusual events begin around him. Out of nowhere, he is magically transported to Everville, an incredible and beautiful other dimension. Everville is having difficulty, though, and the Fron and Keepers I received this book for free from Roy Huff in exchange for an honest review. Owen Sage has just started his freshman year at Easton Falls University, and is looking forward to a relaxing year of college fun. Unfortunately, he doesn't get much time as a normal university student before some quite unusual events begin around him. Out of nowhere, he is magically transported to Everville, an incredible and beautiful other dimension. Everville is having difficulty, though, and the Fron and Keepers who live there require Owen's help to chase away the evil that has made its way into Everville and that is also slowly beginning to creep into Owen's normal world. Will Owen be able to fight the dangerous and reckless forces that are overpowering Everville? Or will he have to admit defeat, therefore forfeiting his nice, normal home and new college life as well? Things may get hard, but as Owen learns, that's no reason to give up. Although I am grateful to Roy Huff for giving me this book, I can't honestly say it was my favourite. There were little technicalities with the writing that distracted me. For one, there didn't seem to be commas where there should have been, and the only commas that were there were in run-on sentences. I also found that I, as the reader, had no idea as to what Owen was thinking. It seemed more that I could glean that knowledge from his actions or friends' testimonies, as opposed to his inner thoughts. His thoughts had more to do with actions, as opposed to dreams, inhibitions and secret motives. I wish I'd been able to get more of a feel for Owen, as a person, to strengthen the storyline. The story was actually split between two people - Owen and the Keeper of Everville. I was surprised by this, simply because it mentioned the Keeper all of once in the summary on the back of this book. The Keeper's story was told partially in modern time, but mainly in memories leading up to how he became to Keeper, starting off as a young Fron. Part of the reason I didn't like this story as much as I could've was because of this. I much prefer only one character's story being told per book, and also when the book is all in one person - first or third. I mainly prefer first person. The Keeper's story was told in third person, and I found it to be dull and not nearly as exciting as it could have been. I never wanted to read during these sections. I'm not saying nobody would enjoy it, because that's untrue. I simply didn't like the storyline or the person it was written in, and the writing irritated me at times. That may seem like a lot, but that's just me. I'm a picky person. One aspect of this book that can be good or bad, depending on the person, was that Owen seemed to be all-knowing. Although his point of view was written in first person, he would occasionally say what another person's motive was, or talk about their home life like it was something he himself didn't know about. For example, Although I didn't know it, so-and-so had done this and so it resulted in... He would also talk about what other people such as his friends were thinking and feeling at that moment, as if it was their story, written in third person. As I said before, it depends on the reader's opinion as to whether this all-knowing aspect is a good or bad thing. Many readers may appreciate this. Unfortunately, I wasn't one of them. I like surprises, and I like a first-person storyline to be realistic. I like to only know the main character's point of view, not anyone else's. Edit no.1 Hey guys, so my friend Roy Huff, is willing to give away one paperback signed copy of his first book in his Everville Series, The First Pillar. With the first ever book written by my friend Roy Huff entitled The First Pillar, which is the first book in the Everville series, NEW TYPE OF FANTASY WRITING WAS BORN! The way this book was written was awesome. 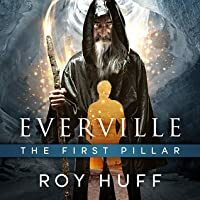 The way Roy connected two different worlds, one with space and time and one Edit no.1 Hey guys, so my friend Roy Huff, is willing to give away one paperback signed copy of his first book in his Everville Series, The First Pillar. The way this book was written was awesome. The way Roy connected two different worlds, one with space and time and one with the absence of those two was exceptional. For how many fantasy books I have read, this was the only book that I've encountered this kind of writing. It was magnetic and captivating. The main character of this story is Owen. He is eighteen years old and he doesn't have a father already. He is with his friends Dante and Anika. who are also living without fathers. Now, what I love about this book is the fact that he uses unique names for characters and places. Like using THEM as the enemy and The Other In Between as a place. We can't usually read books with those names in it. He made new worlds in this book. He has an impressive wide imagination! He sees things others can't see. But somehow I was frustrated by the lack of details and descriptions of places, making it hard to be imagined. Another thing I love is the way he made different point of views in the book. I love how the main character can see the point of views of his friends by using magic--- Magic that only Roy can make. Furthermore, I also love the fact that this book is full of things and ideas about Philosophy. It makes us think critically and make us do mental exercises with ourselves, too. And also, the way the school clubs run contests like the Roundabout was also fascinating. It was the most unique contest in school I've ever heard. Lastly, I had the feeling of unfulfillment with the descriptions in the actions of the characters. But overall, it was new to my taste and I was impressed even though that this is his first book . The First Pillar by Roy Huff is a young adult fantasy novel. The story is about a young man named Owen Sage. He has just started college with his two friends, Anika and Dante. However, he finds himself transported into the world of Everville where he meets the Keeper and the Fron who need his help to fight off Them. The Keeper had previously brought balance back to Everville while he was still a young Fron named Caerwin. The story is somewhat exciting if it were not so clipped and seemingly disj The First Pillar by Roy Huff is a young adult fantasy novel. The story is about a young man named Owen Sage. He has just started college with his two friends, Anika and Dante. However, he finds himself transported into the world of Everville where he meets the Keeper and the Fron who need his help to fight off Them. The Keeper had previously brought balance back to Everville while he was still a young Fron named Caerwin. The story is somewhat exciting if it were not so clipped and seemingly disjointed. Most of the twists and turns are rather predictable and even anticlimactic. There are times, while I was reading the book, that I felt there were things missing. The characters also seem to be underdeveloped. It is however, a good first attempt and I am hoping that the sequel will be more exciting with more developed characters. The book will appeal to a lot of people who enjoy reading teen fantasy novels. I, though, can only give it two stars. That is not to say that the book is bad. It is an okay read but at times I felt it was more of a children's book that one meant for young adults. Author Roy Huff has created a fantasy with a lot of interesting stuff. Aimed at a young adult audience, nevertheless I enjoyed it at my advanced age of (mumble, mumble). I should think most anyone could enjoy the book. One thing I especially liked was the compact story. To many fantasies run on and on until I get bored. Not so here. College freshman Owen Sage keeps finding himself transported into an alternate universe called Everville and in the presence of a bearded, robed fellow called the Kee Author Roy Huff has created a fantasy with a lot of interesting stuff. Aimed at a young adult audience, nevertheless I enjoyed it at my advanced age of (mumble, mumble). I should think most anyone could enjoy the book. One thing I especially liked was the compact story. To many fantasies run on and on until I get bored. Not so here. College freshman Owen Sage keeps finding himself transported into an alternate universe called Everville and in the presence of a bearded, robed fellow called the Keeper, telling him he needs help in repairing the breach to The Other In Between. At first thinking he might be hallucinating, he gradually comes to understand the part he has to play in saving this universe and, by extension, his own. He's aided by long time friends Anika and Dante. Author Huff needs in the next book to give us a bit more of Them, an evil presence that remains off-stage in this first book. I'm sure that's planned, but it would have enhanced my feelings for this one more to be let in on a few tidbits. It's worth a look and will certainly make me check out future books in this series. Seven books I would imagine since seven pillars are mentioned. The Keeper is a great, all-knowing but all caring character that gives the book a real Tolkien or even Pratchett feel. In the first few chapters, the narrator isnt scared to stray off the path of the main plot and venture in unexpectedly important sidetracks. Roy Huff has a talent at linking very complex and abstract ideas with a simplier character and plot formation. Everville is endanger from The Other and The In Between, Huff's use of very simple titles for quite abstract concepts works well in this lucid mixture of fantasy and Young Adult Fiction. I don't wont to give anymore away as it would spoil so much of this weird and wonderful book! The Second edition to this series is out now I think, so I am going to check it out as it is really a promising series! A story about us all! When I finally sat down to read this best-selling book, I soon realized I had made the right decision. Namely because the plot and narration are quite intelligently interwoven, the style is impressive and the characters are easily identifiable with ourselves, no matter if we are young, adults, here, there, bright, sophisticated, up or down, wherever and whatever we are. Moreover, personality traits as well as situations development are phenomena that have been artistically, A story about us all! When I finally sat down to read this best-selling book, I soon realized I had made the right decision. Namely because the plot and narration are quite intelligently interwoven, the style is impressive and the characters are easily identifiable with ourselves, no matter if we are young, adults, here, there, bright, sophisticated, up or down, wherever and whatever we are. Moreover, personality traits as well as situations development are phenomena that have been artistically, masterfully, positively and last but not least, realistically, elaborated and portrayed. Throw together a not quite human Keeper in a place that is between here and there, in a time frame of yesterday and another day, include a race of Frons who are neither human nor animal, a cute little furry creature with large ears like a mouse, and stir in trouble in the forms of other worldly creatures, a few giants, eight worlds that are becoming more negative as time passes, and then Owen Sage, this young college Freshman, who is supposed to save this other world, and still attend college with his best friends, Dante and Anika. Now you have a great mirror reflecting the colorful imagination of the author as he draws out this story for you. This is good sci fi particularly appealing to the YA genre. I'm not ordinarily a fan of YA fantasy, but I tried to keep an open mind when I cracked open this book. I'm so glad I did. It's a well crafted adventure, leaping between the real and imaginary world. The story is strong and easy to follow with kudos to the author for creature development. I found it a welcome departure from more stultifying works of this type. I just got done reading your book today. I absolutely loved it and can't wait to read another one of your books. Everville is a magical, epic – type fantasy, which is also suitable for young adult and teen readers. Traveling between different worlds and realms has always been one of my favorite themes in fantasy books, and here I was happy to discover one vast and beautiful world, even though in this book we were able to glimpse only a part of it. Its structure is rather complicated, but it was explained really well, so I could easily imagine all of the eight worlds, their positions and understand the connection with Everville. In this world we meet a whole new selection of creatures, not that I mind good old fashion elves :D But having something new is refreshing. I really got to like the race of the Fron, mostly because of the optimism of those creatures. The story is mostly narrated by the main character, Owen, but a great deal of the events are not seen or lived directly by him, and here was the best part for me. The story is set in our world and the magic realms, and they are all connected in rather curious way. But for me, the most interesting thing was all the different points of view and the way they were intertwining. At first I thought it was just that the point of view was messy, probably because the facts were presented first, and explained later. Owen is getting information via different ways – the learning device, the memories of the Keeper, and later, thanks to the connection with his friends, he is able to perceive the whole battle at the same time from the frontlines and from aside, which I thought quite cool. Ah, that learning device. At first I though “Hey, this is cheating!” But fortunately, it is not overused. While the reader may be sometimes eager to go on with the story, truth is it really takes hard work and time to improve one’s abilities, and at first I was unhappy that this might get simply skipped. But actually, the main character spends a good part of the book training and developing. Are you by any chance thinking of Naruto, or some similar anime series, where it took the main character a whole season to learn one new technique? Lol, don’t worry. While Owen is training, we’re getting to know more about the previous breach of the worlds. So there is a balance. I could say there were actually two main characters in the book, equally important, again because of the way past and present events are told. First is of course Owen, the human boy, and the other is the fron Corwin, in the past – savior of his people, and now – one of the wisest Keepers in Everville. And if I have to choose a favourite, that would be Corwin. I was much more.. comfortable with him, being able to connect, sort of speaking. I was truly feeling for this character and his adventures, while it wasn’t really so with Owen. He was a bit too dry to me, too much reason and too little passion and emotional response. I found that quite weird, given his young age, all of the events and pressure he’s been through, and the fact that he is narrating most of the story, so we should really see everything he is and feels. As a whole, I was left wanting a bit more character development, considering Owen, and his friends too. I would also have loved a bit more of a dialog. It’d make some scenes more lively and realistic, and could take away that dryness that bothered me. Everywhere, there were beautiful descriptions and scenes, I could see them almost like on a movie, but at places, I could really use some more speaking. By the way, I should note one character, that got me interested – Zee. I hope there is more to come about him. I think he will have the ability to make the rather black and white conflict more… colourful :D Hah, but these here are all guesses! Overall, in my opinion, this was a nice fantasy novel, with well build world, settings and plot. It is a good beginning for a series, getting the readers interested in the conflict, while in the same time, the book isn’t ending too abruptly. Nah, how I hate it when a novel just drops! It however left me wanting more of the characters. I hope in the next books we’ll see more of them. My rating is between 3.5 – 4 stars. I want to thank the author for offering me his book in exchange for my honest review. Хубавка корица, това си помислих първо, и се включих в конкурса за книгата в Гудрийдс. Не спечелих, но след това авторът ми писа и ми предложи книгата в замяна на искрено мнение, за което съм му много благодарна. "Вечноград" (май ще си карам с превода, доста ме радва :D ), е вълшебно фентъзи, което клони към епичния поджанр, но е подходящо за по-млади и тийн читатели. Основната тема е пътуването между светове, свързани с нашия, която си е една от любимите ми, и тук за мое удоволствие открих един доста интересен и обширен свят, макар че в тази книга виждаме само една част от него. Всъщност става дума за няколко на брой свята, свързани един с друг по малко сложен начин, който обаче е обяснен добре и нагледно, та да може дори на такива като мен да им стане ясно. Те са населени от различни раси и същества, повечето от които оригинални - не, че не си обичам добрите стари елфи и джуджета, но все пак, малко разнообразие е винаги добре дошло :) Спечелиха ме Фроновете, главно с нестихващия си оптимизъм. Историята се разказва предимно от главния герой, Оуен, но всъщност голяма част от събитията не са преживени, нито дори наблюдавани от него. И тук идва един от елементите, който ме заинтригува най-много. Различни гледни точки се преплитат непрекъснато. На моменти дори се губех и оставах с впечатлението, че има някакво объркване, което се дължеше на факта, че обяснението за способността на героя да разказва видяното от чужда гледна точка идва в по-късен етап. Оуен разказва нещата така, както сам ги вижда; чрез свързването си с"обучаващото устройство", чрез досега си със спомените на Пазителя, чрез връзката с приятелите си. Накрая благодарение на това в едно и също време наблюдаваше битката в цялост отдалече и същевременно беше в първите редици, и се получи доста интересно. Има едно непрекъснато преплитане на гледни точки и на влияния между световете, което е на моменти объркващо, но може би беше най-интересната за мен част от книгата. Ня, обаче това "обучаващо устройство". Отначало хич, ама хич не ми допадна. Та това си беше направо измама - просто така хоп-пип-и научаваш! За щастие, не беше прекалено с употребата му. Дори и на мен като читател да ми се иска понякога нещата да забързат, истината си е, че са нужни време и усилия, за да се обучи един герой и да разкрие потенциала си и идеята, че това ще бъде просто пропуснато, не ми се понрави. Но се оказа, че Оуен прекарва по-голямата част от книгата в тренировки. Дали някой сега си представя Наруто, или някое подобно аниме, където главният герой прекарва по един цял сезон в изучаване на една техника? Хах, не се безпокойте. Паралелно на тренировките се разкриват приключенията на Пазителя в миналото, така че се получава баланс. Може да се каже, че всъщност има двама главни героя, и двамата еднакво значими, заради начина, по който е разказана историята и по който са отразени събитията в миналото и бъдещето. Единият е Оуен, момче от нашия свят, а другият - Коруин - някога Фрон, на когото се пада да спаси Вечноград, а сега - един от най-мъдрите Пазители. И ако трябва да си избера любимец, то това със сигурност ще е Коруин. Беше много по-лесно да му съпреживяваш по време на неговите търсения и приключения, отколкото на Оуен, въпреки че теоретично той е най-главният герой. Стори ми се твърде сух и рационален, без да показва почти никакви емоции. Това ми се стори много странно, като се има предвид възрастта на героя, всички събития, през които преминава, а и факта, че виждаме нещата през неговите очи, и съответно би трябвало да опознаем повече и него самия. Изобщо, и Оуен, и приятелите му можеха да бъдат малко по-добре развити. Освен това, още малко диалог нямаше да ми дойде зле. Даже си мисля, че щеше да отнеме тази сухота, която ме дразнеше на моменти, и щеше да направи книгата още по-четивна. Има страхотни описания, много живи, и понякога си ги представях като на филмова лента, но малко реплики към филма определено щяха да са добре дошли. Между другото, искам да отбележа един друг герой, който успя да ме заинтересува - Зи. Надявам се в продълженията да има дейно негово участие, защото ми се струва, че той има потенциал да разчупи черно-белия конфликт и да го направи по... цветен. :) Но това са си само догадки. I have recieved this book in exchange for my honest review. I would like to start with saying that I really enjoyed reading this amazing first book in the Everville series! I can't really find one word for it! To my mind, I find it as an amazing combination of the bravery from Lord of The Rings, the friendship from Harry Potter, the struggle from The Hunger Games(I haven't read the books yet but I am familiar with it) and it also gave me the nice feeling like the one you get after reading Artemis Fowl! It is a really wonderful combination of all the elements that there should be in a book of this kind. Do not imagine it as a copy of the books I have mentioned before because it is not! 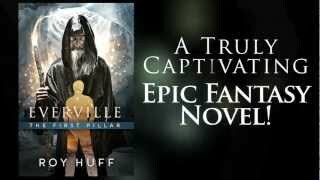 Huff brings us a new world, Everville, a fascinating place that we can picture while he reveals it's hidden magic. The beginning of the book was a blur for me but then it all started to make sense. The action takes place in the normal world and also in another place called Everville. There is a great connection between the two worlds and the one who must restore the ballance is a boy called Owen Sage. Owen is a college freshman at Easton Falls University who, together with his best friends, Anika and Dante, tries to enjoy his normal life. But his life seems not to be as normal as he thought it would be. Being drawn into the world of Everville when he expects it the least, the boy discovers the danger that threatens both the land of Everville and his own world. Them are a threat for both dimensions, and the evil from The Other In Between must be reduced. To save the two worlds Owen has to find out more about The Keepers and Frons and also rely on his friends Anika and Dante while going through a series of experiences at Easton Falls. This book is mostly switching between the two worlds from one chapter to another. It is really nice to see Owen in his normal world, inspecting the university clubs and enrolling in an interesting competition but in the same time to keep a track of The Keeper from Everville and his early times. As the action progresses Owen finds out more things about the Fron and The Keepers, things that will help him in the battle with Them. I really loved the author's writing style and I found the Roundabout competition really interesting! I also liked reading about Carwyn's journey and the obstacles he had to overcome with Dagda at his side. The creatures and beings that Huff invented are really amazing! I love the Fron since they are filled with positive feelings and I pictured them in many funny ways(readers do that I guess). I recommend this book to all the fantasy lovers, and not only them, since it is a rich source of imagination that keeps your eyes glued to the pages! I can not wait to read the next volumes! I am sure that they will also be interesting reads! "The sun was shining. It was warm, and the gusty cold wind that had arrived unseasonably early left as quickly as it came. This seemed to make me a bit happier, and for the moment it helped me suppress any thought of Them and The Other In Between. All I was thinking about at this instant was my first class." "Carwyn gazed at Ewan, then peered across the cave that was now his refuge from the ravenous creatures that were banging against the massive stone blocking the entrance. Carwyn and Dagdan both wondered how long the stone would prevent the hundreds of wild animals that were waiting for their first opportunity to demolish the stone and rip them to shreds." This was one of those books you love at some parts and you have a hard time putting it down, but at the same time don't like as much at some parts. This is a very, very fast-moving book, and I like it just as much as I don't. Sometimes it's really great, because in some series the first book is always the slowest because everything needs to be explained. But sometimes it's just TOO fast-moving for me. Sometimes it was just too much action and too little descriptions. I would have loved some more This was one of those books you love at some parts and you have a hard time putting it down, but at the same time don't like as much at some parts. This is a very, very fast-moving book, and I like it just as much as I don't. Sometimes it's really great, because in some series the first book is always the slowest because everything needs to be explained. But sometimes it's just TOO fast-moving for me. Sometimes it was just too much action and too little descriptions. I would have loved some more descriptions about the creatures in the book. I didn't really get a super clear picture of what they looked like. It wasn't always necessary, and the The Fron creatures for example was described in a good way, but I would've liked some more facts about The Keeper. I never really understood if he looked human or not, and that's too bad because he had such a big part in this book. But as I said, it was nice that it was fast-moving too, so you didn't get bored while reading it! I didn't feel like I got to know the characters as much as I would've liked. At first I was really confused about Owen, but I got over that later on, but I liked Dante and Anika a lot and I would've wanted to learn more about them too, because they helped the others so much at the end, but maybe I will get to know them better in the upcoming book. One character I think I got to know pretty well, though, is The Keeper, I loved the story about his journey and how it helped Owen to accomplish his mission as well. I feel sorry for The Keeper and I wish he could've been given the option to stay the way he was, and I admire him for making the sacrifice he did, so he is probably my favorite character. I liked the short chapters. So much happened in every chapter so it was enough with only a few pages/chapter. I liked the first chapter because you immediately get to know the world of Everville, and you want to read the next chapter right away to discover more about this mystical world with The Keeper. I Also liked chapter 8 a lot, I thought it was so beautifully written. I LOVED the last three chapters were also very good, and so much happened in them, with the war and Owen, and the last one really made me want to read the next book in this series! I also liked the plot itself. The Roundabouts were very interesting and exciting, and I enjoyed reading about that event. I also enyojed reading about The Other In Between, I thought that was an interesting and sad part of the story. I think Huff has come up with a great idea for a new fantasy series, and I can't wait to read the next book and see what else he's come up with. I didn't love this book at the beginning, and I don't love it now either, it's not my favorite book, but I like it a lot and I think this series has great potential, and I'm sure the next book will be just as good as this one, if not better. Roy Huff is a Hawaii based author, research scientist, and teacher. At a young age, he struggled in a family plagued by severe poverty and mental illness. After high school, he moved to the islands and hasn’t looked back. He’s since earned five degrees, worked on projects forecasting Kilauea volcanic emissions, and trained on geostationary satellites for NASA's GOES-R Proving Ground. He stumbled i Roy Huff is a Hawaii based author, research scientist, and teacher. At a young age, he struggled in a family plagued by severe poverty and mental illness. After high school, he moved to the islands and hasn’t looked back. He’s since earned five degrees, worked on projects forecasting Kilauea volcanic emissions, and trained on geostationary satellites for NASA's GOES-R Proving Ground. He stumbled into writing, but what he didn’t stumble into is his love for all things science fiction and fantasy. Later, he contributed a series of fiction and non-fiction books as well as widely shared posts on how to design life on your terms. Despite his challenging youth, he embraces optimism, science, and creativity. He still dreams of traveling into space and circumnavigating the globe. But until then, he makes Hawaii his home, where he creates new worlds with the stroke of a pen. And he hopes you’ll come along for the amazing ride.